Sitting (L to R): (1) Doreen Parkinson; (2) Barclay Hancock; (3) Miss Lucy Powers; (4) Sally Brown. Standing (L to R): (1) Susie Blair; (2) Virginia Pitts; (3) Mary Fox; (4) Annie Baber; (5) Blanche Herndon; (6) Elizabeth Hancock; (7) Etta Hurt; (8) Bertha Herndon. 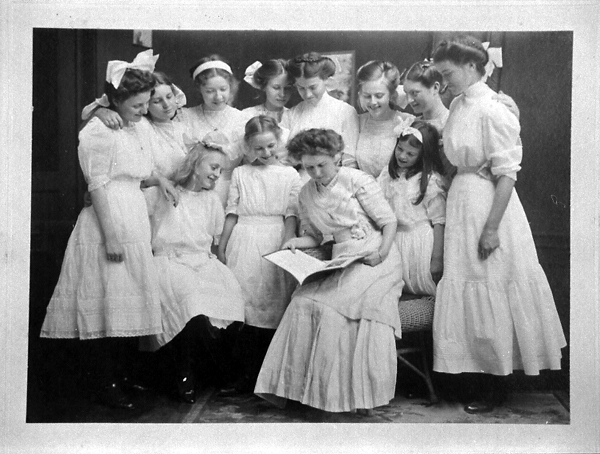 Sitting (L to R): (1) Barclay Hancock; (2) Doreen Parkinson; (3) Elizabeth Hancock; (4) Sally Brown; (5) Annie Baber; (6) Bertha Herndon. 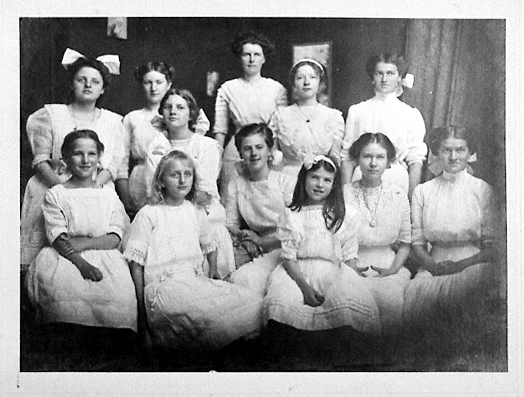 Standing (L to R): (1) Susie Blair; (2) Etta Hurt; (3) Virginia Pitts; (4) Miss Lucy Powers; (5) Mary Fox; (6) Blanche Herndon.